If you need a qualified professional to help you install and maintain the network that your business depends on, then you might need to hire a freelance Cisco engineer. 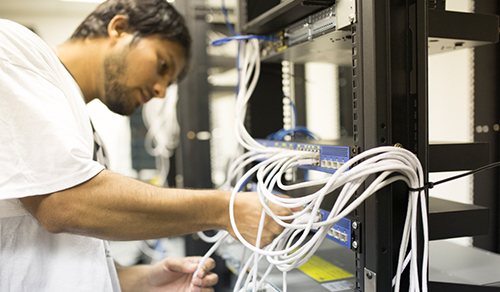 Field Engineer makes it easy to find a whole host of on-demand Cisco engineers that can begin working to keep your network maintained and to ensure the stability of your business, or help you expand your network to meet the growing needs of the team. From day-to-day tasks and responding to incidents to scaling, switching, or overhauling your networks, a freelance Cisco engineer can help you meet all your needs without the costs of hiring a full-time, internal network administrator. Field Engineer can help you choose from a global range of freelance Cisco engineers to help you meet all the needs of your business network. Join today, take a closer look at our marketplace, and start engaging with an engineer to ensure you’re getting precisely the right person for the job. Simply post a job, review the applicants that start applying for it, and you can begin working with top-class freelance Cisco engineers today.